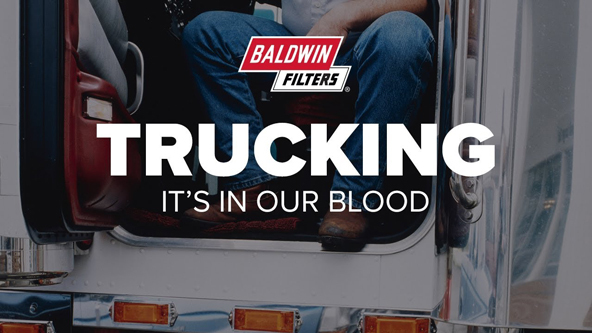 From a small beginning with less than a dozen employees to a global business with distribution across six continents, Baldwin Filters has grown and prospered since its founding. 1936-1980 J.A. 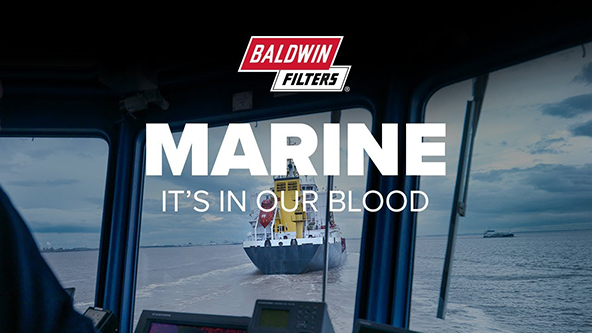 Baldwin was one of the first to recognize the importance of improving mobile filtration. He designed a cartridge lube filter and began production in Wisconsin in 1936. By 1952, Baldwin needed to expand in order for J.A. Baldwin Manufacturing Company to compete for the big orders, but was unable to do so in Wisconsin. At this time, Kearney, Nebraska, had an idle airfield with hangars that had been used in World War II as a base for the big B-29 planes taking off for Europe. The company moved to Kearney in 1953 to take advantage of the central location and the available transportation. Once in Kearney, Baldwin Filters began operation in a 24,000 square foot building with nine employees. By the end of the year, Baldwin employed 26 people and occupied three buildings. In 1963, Baldwin purchased 42 acres of the former Kearney Air Base and began construction. Shortly after moving part of the operation into the new building, a fire destroyed the original plant and the company offices. Also lost in the fire were the blueprints of all the filters and the machines designed to produce them. Within six months, J.A. reconstructed the needed blueprints and returned the company to full production. Between 1964 and 1981, the Baldwin Filter plant was expanded nine times to accommodate the rapid expansion. 1981-PRESENT In early 1981, J.A. Baldwin suffered a stroke and heart attack, from which he recovered enough to return to run the company. However, at the end of July, Baldwin announced the filter company had been purchased by J.L. Clark Manufacturing Co. (now CLARCOR). In 1989, Baldwin Filters expanded to include Baldwin Filters LTD in the United Kingdom and Baldwin Filters NV in Europe. 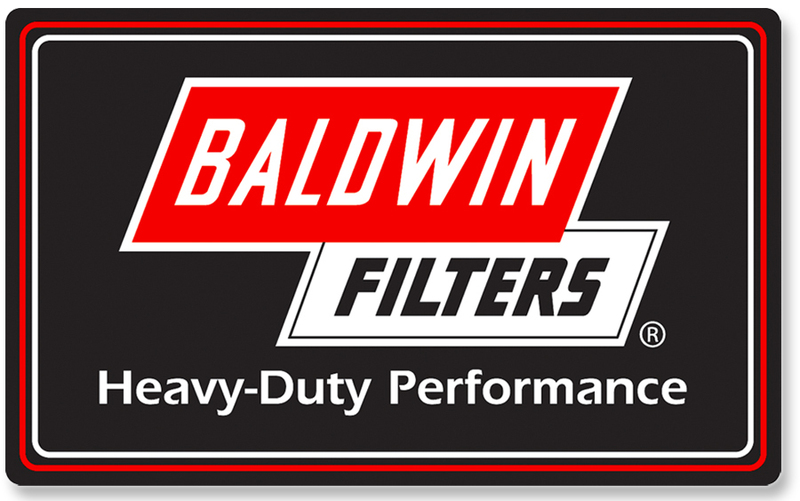 In 1991, Baldwin Filters expanded again. This time with a plant in Gothenburg, Nebraska. At this time, Baldwin Filters Australia was brought into the company. The following year at the Kearney plant, a multi-million dollar technical center was added for research, development, training and testing. In 1994, Baldwin added a manufacturing and distribution center in Mexico, followed by a manufacturing facility in Weifang, China in 1995. 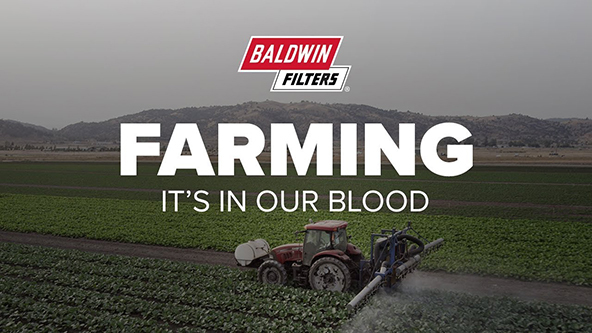 Also in 1995, Baldwin Filters purchased Hastings Premium Filters, which included the addition of a third U.S. manufacturing site, in Yankton, South Dakota. In 1996, Baldwin Filters South Africa was established. A state-of-the-art automated distribution center was added to the Kearney plant in 1999. The Warehouse Management System utilizes bar coded picking labels and radio frequency scanners to move all product throughout the 110,000 square foot facility. In 2007, a manufacturing facility was purchased in Casablanca, Morocco, and became Baldwin Filters Morocco. In 2016, the company built a new state-of-the-art automated distribution center to handle increasing demand for Baldwin Filters. Baldwin’s team of engineers continually looks for ways to improve our product. Working from the basic filtration design and using the latest technology like 3-D CAD modeling and stereo lithographic prototyping, the engineering group leads the way with innovative, patented designs such as Radial Seal air filters, self-venting drain valves for fuel/water separators and controlled release coolant products. Our goal is to design filters that meet or exceed OEM specification. All Baldwin filters are tested in our state-of-the-art technical center and undergo extensive field testing. 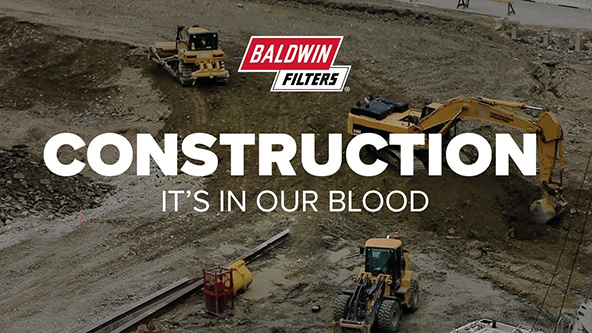 Quality is Baldwin Filters’ first priority. 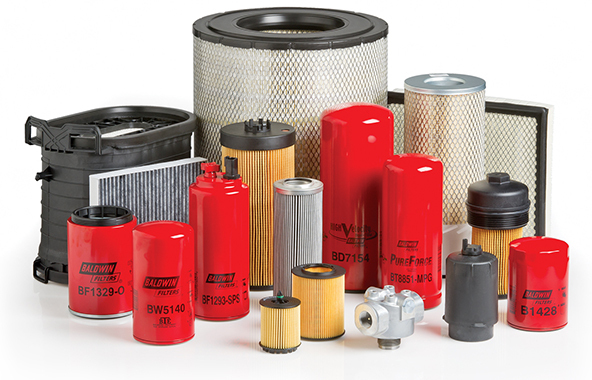 Baldwin Filters is not just a filter assembler like many large companies. A vertically integrated manufacturing process allows Baldwin to provide maximum control and consistency by not only producing filters, but also by manufacturing filter components. The practice of building a filter from the base up allows quality and cost control, giving Baldwin Filters an advantage over the competition. To back up its commitment to quality, Baldwin Filters has achieved and maintains TS 16949 and ISO 9001 certifications in its facilities.